A Rinkya Blog: Enlarge Your Banana for Halloween- Direct From Japan! Enlarge Your Banana for Halloween- Direct From Japan! I know Halloween is almost two months away, but if you are picking up your costume from Japan, now is the time to start thinking about it. 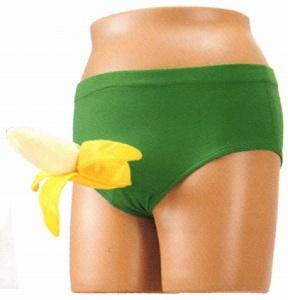 The following costumes are great for underwear as well! Surprise! Underpants, lift the flap and underneath is a match- Come On Baby and light my fire! Hanami Underpants. Hanami is Japanese for the viewing of flowers, undoubtedly which you will be unable to stop from doing so if a person is wearing this costume. Flying Ru Underpants. 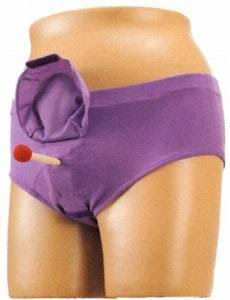 Another surprise lies underneath the flap on this pair of Halloween underpants! You cannot worm your way out of this one! Ahahaha, pun intended. Want to surprise your guests at your Halloween party? Order these direct from Japan through Rinkya! Look for more Wacky Japan Halloween Costumes on our Blog!